As the US has progressed to providing equal opportunities irrespective of gender or heritage, the wine industry has followed suit. Close to 10% of commercial Wineries employ Female Winemakers as the principal Winemaker and the percentage is growing every year. The numbers of Minority Winemakers are harder to come by, but a clear trend in the in industry is the inclusion of any one who has the skills to produce outstanding wine. The first generation of Female Winemakers has inspired a new group of women who make wine. No longer is winemaking just a man's world. Equally true are the opportunities that are present for Minority Winemakers. As California continues its pace to become the first state where there is no longer a majority ethnic group, Minority Winemakers are growing in both numbers and stature, taking their place alongside the established Winemakers. 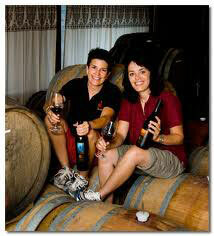 For a listing of Women Winemakers or Minority Winemakers, click the button below.